RHR Mechanical Contractors, Inc. will meet your requirements to maintain and deliver your projects on a timely basis and whatever other particular specifications you may have for your business, institution, or industry. We can help you design and implement your system to move all process and utility services such as pure water, fuel oil, acids , caustics fluids, hydrogen, nitrogen, air other gases and the myriad of other raw or processed fluids that your requirement demands. RHR Mechanical Contractors, Inc. provides fabrication and installation of high purity process piping in industrial facilities, where purity is critical in developing chemical processes for all types of the Chemical and Pharmaceutical industry. 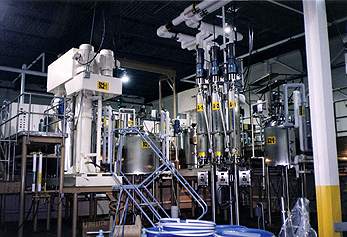 Manufacturers also count on RHR Mechanical Contractors, Inc. for purified water, dual containment, acid and specialty drains, and other fluid and gas handling systems.